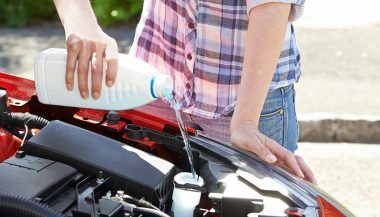 Engine oil – it just might be the single most important fluid in your vehicle. It’s your engine’s lifeblood. Without it, friction and heat would wreak destruction. Obviously, you know the importance of ongoing maintenance. You have your oil changed at the specified interval without fail. However, are you actually using the right oil? Does it even make a difference? Isn’t one type of oil pretty much the same as another? 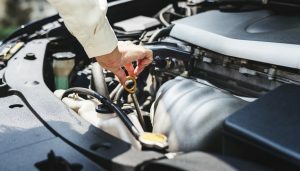 No, one engine oil isn’t as good as another, and if you’re using the wrong type, you might be causing damage to your engine without even realizing it. One of the most important considerations in determining what engine oil you should be using is the weight. Weight is listed on the bottle as a number followed by a letter, followed by another number. For instance, 5W30, 10W40 or 20W50 are all examples of engine oil weights. What do those weights actually mean, though? To really understand this, we need to go back in time. Once upon a time, oil was rated by its “straight weight”. You can still find some examples of this on the market today. You might come across a bottle of oil labeled as SAE 40, for instance. This is “straight” 40-weight oil. It behaves the same in all temperatures. That means it will be more sluggish in cold weather than in warm weather, because of its thickness. Most engine oil works in a different way today. Let’s use 5W30 as our example. 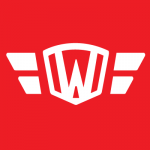 Here, the “W” stands for winter. During the winter, it acts like 5-weight oil. During the summer, it acts like 30-weight oil. Why does that matter? Actually, it’s pretty simple. Thinner oil is more easily pumped during the winter months, which means that your engine won’t sustain damage from being “oil starved”. Oil starvation is a condition that happens when an engine starts without sufficient lubrication. It causes damage through friction and heat. The reverse is true during the summer. When temperatures climb, you want thicker oil to ensure that the engine is properly lubricated, and the oil doesn’t drain too quickly. Obviously, 5-weight oil would not have the right consistency in high-heat situations. On the other hand, 30-weight oil would have much better viscosity. Modern engine oils manage to achieve different performance levels at different temperatures through precision engineering and the use of specific additives and chemicals (none of which will harm your engine). Now that we’ve addressed weight, let’s talk about type. There are three types of oil on the market today – conventional, synthetic and semi-synthetic. Conventional oil is exactly what you think it is. This is a petroleum product, and it’s the same thing you’ve been using in your engine for years now. It’s cheap, widely available, and relatively long lived in the harsh conditions found within your engine. Synthetic oil is not natural. It’s engineered in a laboratory. As such, it’s an “almost perfect” product, offering significant advantages over conventional oil. Some of those include a longer use life, better viscosity, and better overall protection for your engine. However, it is more expensive than conventional oil, and isn’t quite as widely available (although it is much more widely available than it was even a few years ago). Synthetic blends are actually combinations of conventional and synthetic oil. These mixtures are more widely used than you might think, and offer a nice middle ground between conventional and full synthetic formulations. Benefits can include a lower cost than full synthetic oil, longer life than conventional oil, and better protection for the engine. High mileage oil isn’t a different type in the sense of conventional versus synthetic, but it does constitute a different category. This type of oil is formulated specifically for vehicles with 75,000 miles or more on them. It contains special additives and conditioners that are designed to help soften hardened seals, and make them more pliable. It causes some to swell, reducing leaks and theoretically extending your engine life. However, it is not a replacement for maintenance, which includes replacing failed or failing engine seals. You can choose the right option from among these types, but there are a few other things to bear in mind as well, including what the automaker recommends. Perhaps the simplest way to determine what type of oil you should use is to check your owner’s manual or your oil filler cap. Both should have the manufacturer’s recommendation. For example, your oil filler cap is likely to show 5W20 or 5W30. That tells you the weight to use in your engine, but it leaves the type of oil up to you. However, if the OEM recommends 5W20, understand this is actually a synthetic blend. Should you use conventional or synthetic? That choice is really up to you. There are pros and cons to both options. 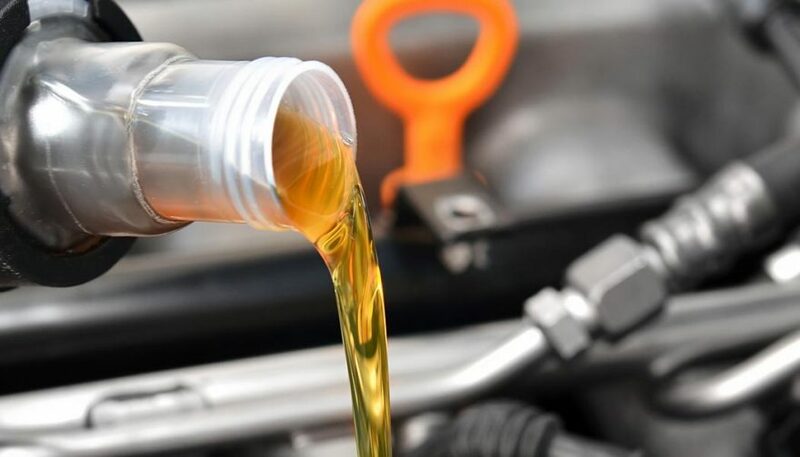 Full synthetic oils are more expensive, but can offer drastic increases in the duration between service intervals (rather than having your oil changed every 3,000 miles, you could change it every 6,000 miles, for example). Conventional oil is definitely cheaper, but it has a shorter lifespan. 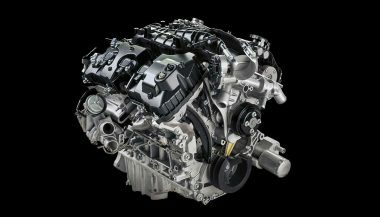 You also need to consider that any quality engine oil will have approval from both the Society of Automotive Engineers (SAE) and the American Petroleum Institute (API). You should see two seals on the front of the bottle, one from the SAE and one from the API. If you don’t see these seals, use the oil at your own risk, as it has not been approved by these authorities. 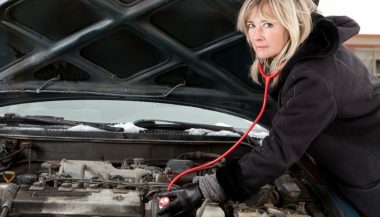 Perhaps the best advice is to consider the automaker’s recommendation, and then speak with a trusted mechanic. Both conventional and fully synthetic oils can be used, but there’s no “cut and dried” option that is better than the other. Make an informed decision and then use the oil that fits your needs best (and always beware of outlandish claims and oil formulations not SAE and API approved). Clicks, slaps, knocks, thuds - all of these engine noises cause warranted driver concern. Here's what's causing some of the more common sounds. Your car must be properly maintained so it can continue to run perfectly no matter what time of the year it might be.